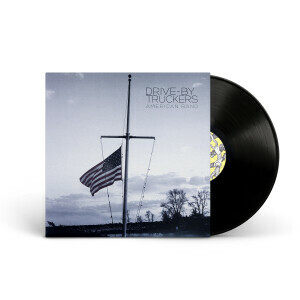 Drive-By Truckers have always been outspoken, telling a distinctly American story via craft, character, and concept, all backed by sonic ambition and social conscience. Founded in 1996 by singer/songwriter/guitarists Mike Cooley and Patterson Hood, the band have long held a progressive fire in their belly but with AMERICAN BAND, they have made the most explicitly political album in their extraordinary canon. A powerful and legitimately provocative work, hard edged and finely honed, the album is the sound of a truly American Band – a Southern American band – speaking on matters that matter. DBT made the choice to direct the Way We Live Now head on, employing realism rather than subtext or symbolism to purge its makers’ own anger, discontent, and frustration with societal disintegration and the urban/rural divide that has partitioned the country for close to a half-century. First 2,500 vinyl pre-orders will receive dark red vinyl. Red vinyl will be available ONLY through the Drive-By Truckers webstore and US indie shops. Please note that due to manufacturing the intensity of red varies from each copy.